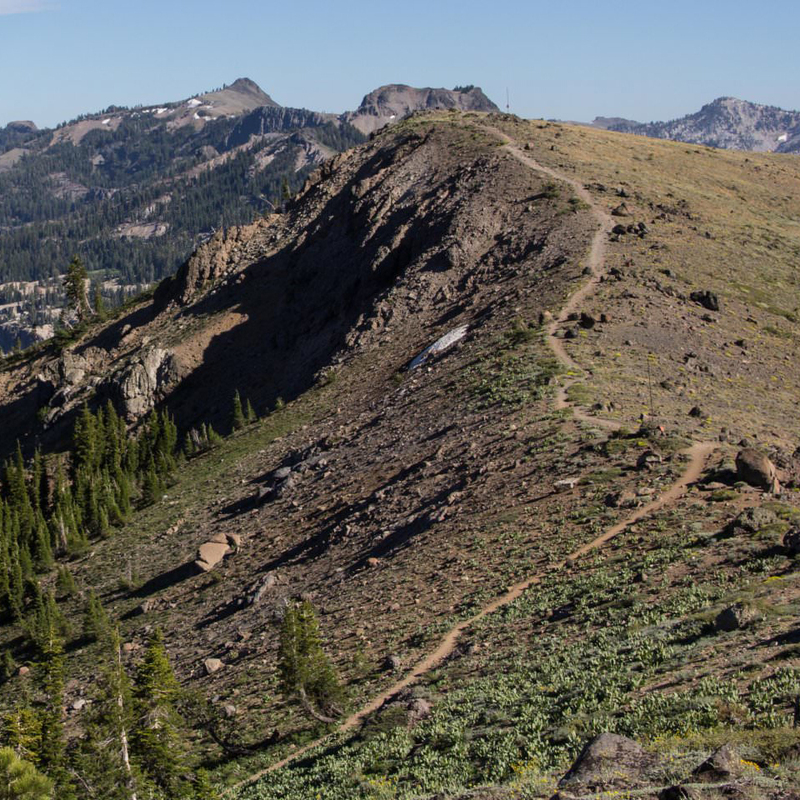 One of the easiest ways to crest the Sierras in the Tahoe area is to pick up the Pacific Crest Trail near Donner Pass and head south. The Mount Judah Loop takes advantage of the access, offering a short but scenic stint along the crest in a 5-mile loop. In the sheltered spots on the east side of the top you can find a riot of wildflowers. At the top you can see Anderson Peak, Tinkers Knob (named after a stagecoach driver’s nose), Castle Peak, Granite Chief, Summit Valley, and maybe even Mt Rose. For more information, click here to visit AllTrails’ page on the Judah Loop.